Portfolio Categories: Small Business and Wordpress. 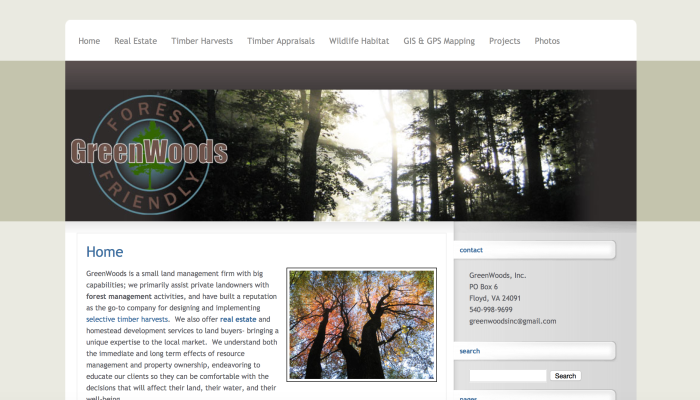 GreenWoods Inc. had a WordPress site that needed a complete rebuild of their original non-TWD design, but without changing any of the information or adding any fancy features. For a fraction of the regular full website construction cost, TWD rebuilt their website and gave it a little visual facelift. In the above images, the first is the “After” photo and the second is the “Before” photo. It’s a good idea to keep your website up to date and visually pleasing. Contact TWD today if you would like to learn how TWD can give your website a facelift at a fraction of the regular cost! Check out the updated design for yourself by clicking the link below! Customer Review: "We needed to recreate our business website on short notice due to out-of-date software that had been hacked. Lila came through for us and efficiently designed a completely new website that matched our existing branding. We’re happy with the site and the service!" 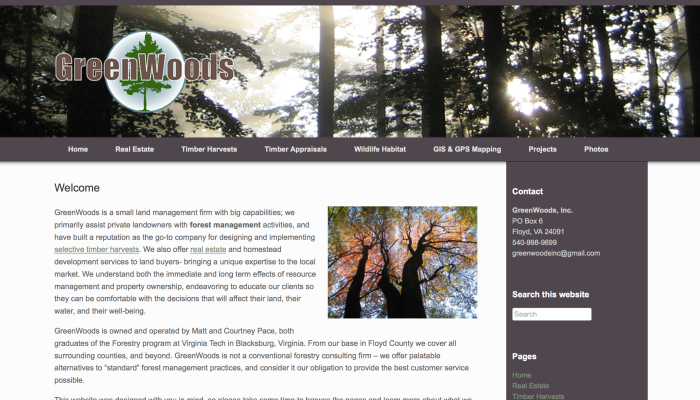 Matt Pace, Owner GreenWoods Inc.